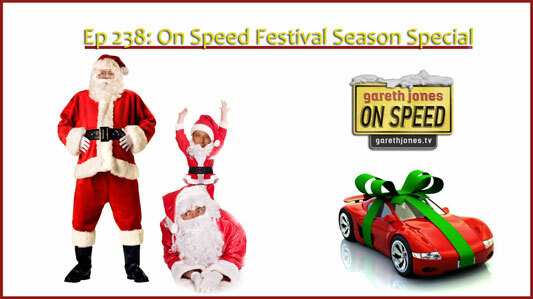 #238 On Speed 2014 Festival Season Special. We play car-based family games and engage in some Secret Santa classic car gift-giving. Sniff Petrol on: Christmas with Bernie Claus, the VAG Group and a seasonal message from Morgan. 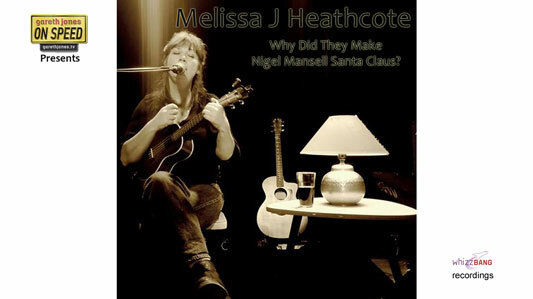 Plus Melissa J Heathcote sings Why Did they make Nigel Mansell Santa Claus. Though he's fat enough to fill the suit. But I don’t believe that Santa comes from Birmingham. Oh, how could this get worse? Sparks all over the roof. One of the reindeer's burst. But I don’t want to hear a moany Brummie voice. The ghost of Senna was in the way. As decisions go, it’s really very crap. But not Saint Nic in a branded sponsor’s cap. But I don’t believe that Santa has ‘tache. Yes I hope they use….. Taki Inoue next year.